March 5, 2015 | Sign up to receive THE TEACHERS EDITION. 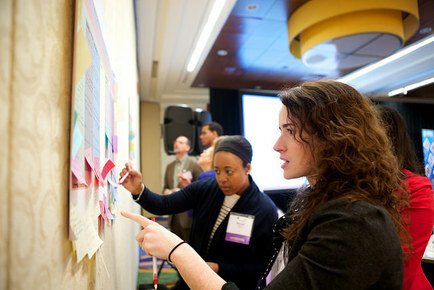 Innovative principals from coast to coast visited ED to share what innovation means to them. This week, 11 visionary principals from as far as Hawaii and as close as Capitol Hill in Washington D.C. gathered at the Department of Education to participate in a Principals at ED meeting titled “Leading Innovation.” The principals had been selected by ED’s Principal Ambassador Fellows to share with ED staff their best practices and advice about the art of leading innovative schools. The day culminated in a discussion with Secretary Arne Duncan and Assistant Secretary for Elementary and Secondary Education Deb Delisle. These principals talked about putting student outcomes at the center of their work, and they highlighted their commitment to providing truly innovative learning environments. Whether students are building models, running businesses or singing in perfect pitch, these leaders are creating places in which all students, parents and community members will want to take ownership and pride in the success of the school. Watch an amazing video about the principals. STEM is our Identity. That’s the motto of Harmony Public Schools in El Paso, Texas. Harmony is a high-performing K-12 public charter school whose educators believe in a comprehensive approach to STEM that infuses the curriculum and extracurricular activities. Their STEM Festival connects the community to the student projects. 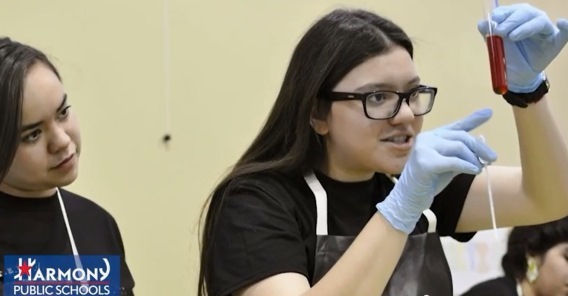 A 2012 recipient of a federal Race to the Top-District grant, the El Paso district is committed to personalizing learning through project-based learning, targeted instruction, and updated data systems and platforms. Their signature STEM Fest is a part of a local town hall meeting in El Paso that was hosted by the mayor and U.S. Congressman Beto O'Rourke. The first video showcases the Stem Fest at the town hall; the second video highlights the students’ preparation and gives some commentary from the students themselves. Harmony Public Schools are exemplary in their STEM-focused project based learning. Learn about the Race to the Top-District project underway in Harmony. In 2014, students of color made up a majority of the nation’s K-12 population (50.3 percent). Yet the teaching workforce remains largely white (about 82 percent). 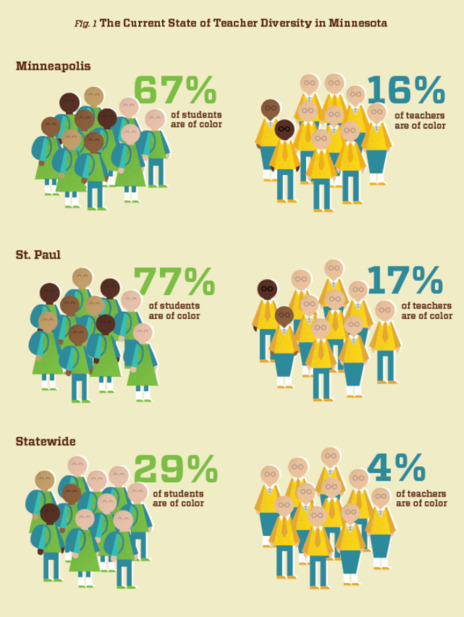 In Minnesota, the disparity between the racial makeup of students and teachers is even greater (see chart). In their report, Closing Gaps: Diversifying Minnesota's Teacher Workforce, Educators 4 Excellence teachers offer actionable steps to close the gap in Minnesota, though many of their solutions would work in other districts struggling with this issue. The report maintains that the professional pipeline -- recruitment, induction, and retention -- for teachers of color can be strengthened. Through action at the state and local level, improved policies can help diversify the teacher workforce and elevate the profession as a whole. HOPE FOR TEACHERS IN TENN. Tennessee teachers can apply for a new 12-month program with the Hope Street Group that taps classroom teachers and instructional coaches who are leaders and want to contribute their ideas and expertise to help shape national, state and local policy. The teachers, who will receive a $3,500 stipend, will learn about state education reform efforts and meet directly with state policymakers to share the views of educators and to present educator-generated solutions. Learn more. Application Deadline: Friday, March 20, 2015. THUMBS UP. There is high praise for the lessons learned from Teach to Lead summits in this article featured in The Minnesota Educator. Editor's note: The following is the first in a series reporting on excellent African American educators. Educators were selected by the White House Initiative on Educational Excellence for African Americans. 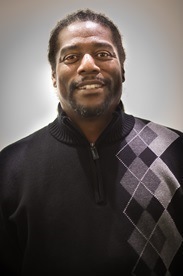 Dewayne Combs is a Teacher for Academic Support at Johnson Senior High School (St. Paul, Minn.). He is also on the Educators 4 Excellence-Minnesota Teacher Policy Team on Teacher Diversity. What is the one thing you most celebrate about your students? I celebrate the chance to develop my student’s passion for life-long fitness. I have written grants to provide mountain bikes for my students and then I taught my junior high kids how to ride. It has been really rewarding to celebrate the lessons that students take from my class and see them practiced outside of school. In what ways do you encourage parents, family members, and other caring adults to support the learning and development of African American students? Behavior modeling and the way I have raised my own children has helped in collaborating with parents, family members, and other adults of African American students. I’m a father of five with four college graduates and one is a senior in college. Being there for my children to support them in earning their degrees has made a world of difference and the same is true for my students. Kudos to the Ohio Appalachian Collaborative (OAC). This group of 21 Ohio school districts used Race to the Top funds to provide professional development for teachers and increase advanced classes available to students. Now these rural educators and their students are seeing some real progress. Teachers honed skills with formative assessment, using value-added test data to inform instruction, planning for college-and-career readiness, and leading change effectively. Plus, they connected with peers in other districts who they can turn to later when they have questions. The results: graduation rates in the 21 districts rose from 85 percent in 2010 to 92 percent in 2012; more students are earning college credits while still in high school; more students are taking the ACT; and college enrollment is up. The OAC recently won a state grant that is being used for exciting changes that include preparing more teachers to teach dual enrollment classes, creating a common curriculum for those classes, building an online portal for students, and more. (PROGRESS blog). It is time for students to get rolling to meet the March 6 deadline for the 2015 Easter Egg Roll Souvenir Poster and Program Design Contest. Submissions of original artwork from elementary and middle school students related to this year's theme, "#GimmeFive” can be uploaded. 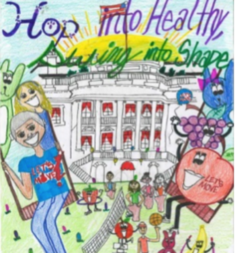 The First Lady will select two winning designs, which will be used as part of the White House 2015 Easter Egg Roll program and souvenir poster, to honor the 5th anniversary of the First Lady's Let's Move! initiative. RESTORATIVE JUSTICE. The organization What Kids Can Do gives a shout-out to what young people can accomplish when given the opportunities -- and what they can give back when educators and the community take their voices and ideas seriously. That’s what happened at Fenger High School in Chicago after violence rocked their neighborhood. Students, staff, the community and school principal Liz Dozier took over and changed the long-failing school into a place where failure is not an option. Read more about how they did it. RAISE THE BAR PARENTS. There's a new website for parents who want to know more about Common Core and specifically how their child is doing. The site has grade-level videos of what to expect, as well as fun math and reading adventures that test a child's grade-level mastery of Common Core standards. Parents receive a detailed report as well as links to follow-up resources to help their child continue to grow. All the resources on the site are free. Check it out. It’s important to know how to protect student privacy while using online educational services. ED recently released model terms of service guidance to help schools identify which online educational services and apps have strong privacy and data security policies to protect students. The guidance will make it easier for schools to get through the legalese. Check out the guidance and the lively training video. "Talk straight, demonstrate respect, create transparency, right wrongs, show loyalty, deliver results, get better, confront reality, clarify expectations, practice accountability, listen first, keep commitments, and extend trust." Leading From Every Seat: Empowering Principals to Cultivate Teacher Leadership for School Improvement, a white paper from New Leaders on teacher leadership, looks at efforts to advance the policies and practices that enable great school leaders to succeed. Meant to serve as a springboard for new conversations and more collaboration, the report includes five briefs on specific actions principals can take to cultivate teacher leadership, as well as recommendations and case studies to show how it can be done. Read more. Women have always played an important role in the progress of our nation. From fighting for civil rights to advancing the field of science, the contributions of women are recognized every March in what has become known as Women’s History Month. During March, the Teachers Edition will feature teaching resources to support this year's Women’s History Month. HIGH FLYERS. Learn more about the inspiring women of military aviation who have or are serving with honor through this Women of Aviation Worldwide Week program. And find out more about the Fly It Forward Challenge to increase the number of female pilots. FOREMOTHER OF EQUALITY. Learn more about the contributions of Elizabeth Cady Stanton to the Women’s movement and their relevance to today. Stanton understood the difficulties women faced, and she wrote about the extent and vehemence of the opposition to equality in her Declaration of Sentiments. The EDSITEment lesson gives guiding questions, learning objectives and activities to feature in your classroom. Learn more. WEST IS BEST. 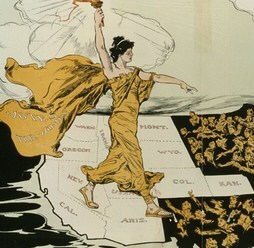 Women's suffrage succeeded in the West for reasons as diverse as the people and places of the West itself, according to This Shall Be the Land for Women, which is featured on the EDSITEment resource Women of the West Museum. Learn about efforts in support of women's suffrage in Western states and the movement to get the vote for women. This study published in the Institute of Education Sciences examines whether the Tools of the Mind program increased academic achievement, cognitive flexibility, working memory, attention control, and cognitive processing speed for kindergarten students. Tools of the Mind is a pedagogical approach that emphasizes teacher-led interactions between classmates. Read more (Blair and Raver, 2014). • VIRTUAL PD. 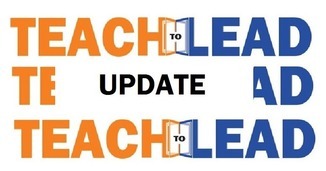 Share My Lesson is running a free, three-day virtual conference on March 23-25 with 29 different sessions for teachers in all subject and grade levels. Three federal agencies are presenting, including the Library of Congress, National Science Foundation and Department of Energy. Learn more about the sessions, how teachers can get a certificate of completion and how to register. • FREE DO-OVER. According to Lisa Arter,"calling a mulligan" is just one of several great approaches to enhancing classroom or faculty discussions. The mulligan is a "do-over" that offers a chance to let a mistake pass without consequence. Anther helpful strategy, called " five R's" (respond, repeat, restate, rebut, and reinforce), can increase student debate and limit the teacher’s involvement. Read more (Education Update). • KEEP IT SIMPLE, TECHIE. Teachers can easily feel overwhelmed by the fast moving pace of technology. In this article, Denise Jaffe urges teachers to "keep it simple" and offers some ways to do it (eSchool News). • TRIP ABROAD. The Fulbright-Hays Doctoral Dissertation Research Abroad Grant program is accepting applications through April 28, 2015. This program provides grants to colleges and universities to fund individual doctoral students to conduct research in other countries in foreign languages and area studies for periods of six to 12 months. Learn more. • GROUP TRAVEL. The International and Foreign Language Education Division at ED it is currently taking applications for its Group Projects Abroad Grant Competition through March 23, 2015. The Group Projects Abroad Program Short-Term Projects provides grants to support overseas projects in training, research, and curriculum development in modern foreign languages and area studies for teachers, students, and faculty engaged in a common endeavor. Learn more. • INTERNATIONAL SEMINAR. Learn more about people and cultures of other countries. Apply for the Fulbright-Hays Seminars Abroad (SA) Grant Program through April 1, 2015. Learn more about the SA program, from the webinar this Saturday, March 7, 12:00 pm EST. Register. Note: the following words of wisdom were voiced by educators at the Teach to Lead Regional Leadership Summit in Boston, Mass., in February. 2. “If we take away the testing, I don’t see what would be the pressure for states and districts to tend to failing schools. I was at a failing school, and it needed to be closed. There were bad things happening for kids. The system worked."